There are all kinds of financial problems that can make paying your daily bills difficult. Home or car repairs, a medical emergency, moving for a new job, and high interest rates on credit card debt are just a few of life’s occurrences that can require extra cash. Unless you have a deep savings account to dip into, coming up with the money can be difficult. It can be especially tricky if you have bad credit — which can simply be caused by not paying your bills on time. Nearly half of Americans are late paying their bills. Small personal loans can help individuals pay for things they need now, such as groceries before the next paycheck arrives. The loan amounts range from $500 to $10,000 depending on the lender and state. Interest rates range from 6% to 36%. The two main types are installment loans that can be paid over a long term such as a year to six years, and short-term loans that can be as short as a week to a month to repay. Before getting these loans, know that you’re likely to be charged high interest rates of up to 36%, so you may only want to use them for emergencies. Personal loans for borrowers with bad credit are expensive because they’re considered by lenders to be a high risk for not repaying the loan. On the plus side, such lenders have flexible loan requirements and are more likely to work with customers with poor credit scores. An installment loan is repaid on a fixed schedule. You make a certain number of equal payments over time, usually with interest, until the balance is paid off. You usually don’t add to the balance. Installment loans include home mortgages, auto loans, and student loans. Installment loans are usually tied to a form of collateral, such as a home or vehicle. Installment loans for student loans and personal loans, however, don’t require collateral. That’s good news if you have bad credit and need a small loan. CashUSA.com offers installment loans from $1,000 to $10,000 that can be paid off in a period between 90 days and six years. CashUSA isn’t a lender and the loan terms will vary by lender, depending on your qualification. Because payments are made for a set period of time, you’ll always have the same monthly payment. CashUSA gives the example of borrowing $1,500 over two years with an APR of 7.9%. Each of the 24 monthly payments will be the same — $67.77 — for a total amount payable of $1,626.54. BadCreditLoans.com offers some of the smallest loans around, making it easy to solve a small financial problem quickly. Loan amounts of $500 to $5,000 at repayment terms of three months to three years are available. As with other installment loan providers for personal loans, its lenders don’t require collateral, and applicants won’t be denied a loan because they have a poor credit history. A steady income and a checking account are the only security required. If you need a large personal loan, PersonalLoans may be the place to go, offering personal loans up to $35,000. Its personal installment loans typically require a credit score of 580 or better, a minimum income of $2,000 per month, and an income source of a job or benefits, according to PersonalLoans. Loans range from $1,000 to $35,000. If you don’t qualify for an installment loan and are looking for a loan with a shorter payback time with payment amounts that can vary, a short-term loan provider may be able to help. The lender networks listed below require a single application to be filled out, which will be matched with lenders who have preapproved you for a short-term loan. You then pick the best loan offer you want to take on. These types of personal loans can have higher APRs than installment loans and can thus be more expensive. Sometimes referred to as bad credit loans, short-term loans often require having a job or some type of regular income of at least $800 per month, having a checking account, and being 18 or older and a U.S. resident, according to MoneyMutual, our top provider of such loans. MoneyMutual connects borrowers with lenders that can give them short-term loans quickly, with up to $2,500 deposited in their account as soon as the next day. The company says on its website that the online form takes less than five minutes to complete. Lenders will review your information in real-time and decide if they would like to work with you. If so, you’ll be redirected to their website to complete the lender’s application process, review the loan terms, and if satisfactory to you, accept the loan. As listed above among installment loan providers, CashUSA also offers help finding short-term loans that can be funded as soon as the next business day. Its basic loan eligibility requirements include earning at least $1,000 per month, after taxes. It also requires having a valid email address and phone number. CashAdvance.com helps people find short-term loans between $100 and $999. “Short-term loans are meant to be used only as a last resort option and paid back on or before a borrower’s next paycheck,” according to the site’s FAQ page. CashAdvance also requires earning at least $1,000 per month after income tax. Employment must be verified, and a valid home and work telephone number, as well as a valid email address, are also required. Small businesses may need loans for a number of things if they have bad credit. They may need to cover inventory costs before money comes in their front door; a company vehicle may need to be repaired overnight so it can make deliveries; or one of the many emergencies that small business owners deal with daily may pop up. For entrepreneurs with low credit scores, getting funding for a new business can be difficult. The good news is that most funding for startups doesn’t come from banks or credit cards. Credit card and bank financing account for just 25% of the total funding of early-stage entrepreneurs, according to Entrepreneur magazine. Fundbox is a sort of hybrid between a small business loan that comes in a lump sum, and a revolving line of credit that you repay as you use it. One option it offers is invoice financing. You connect your accounting software to Fundbox so it can evaluate your business. If approved for credit, you can choose which invoice you want to clear, within your credit limit, and the money is transferred to your account. You choose 12 or 24 weeks to repay the money, with weekly payments required. Each week the amount repaid, minus the fees, becomes available again as revolving credit. Repay early and the remaining fees are waived. The fees are a flat rate that increases with the amount borrowed but can drop a little with a longer payment timeline. While Fundbox doesn’t list what the rates are, it has an online calculator. Drawing $10,000 for up to 12 weeks requires a weekly repayment of $872.17, and the fees would start at $38.83 per week. The total, including fees, would be $10,466. Double the repayment plan to 24 weeks and the weekly repayment almost drops in half, though the total repaid increases to $10,899. BlueVine also offers invoice factoring. A credit line is based on the strength of customers, so the credit limit grows as sales grow. It also issues lines of credit up to $250,000 with interest rates starting at 4.8%. It’s a revolving credit line, meaning you draw as little or as much as you want, and the credit line replenishes as you make payments — like a credit card. Companies that have been in business for at least a year can have an easier time getting small business loans — even with bad credit — if they have a record of increasing revenue. Funding Circle offers small business loans from $25,000 to $500,000 at interest rates from 4.99% per year. Repayment can take from six months to five years and there are no repayment penalties. Applications can take 10 minutes or less to fill out online, and a personal loan specialist will contact you within one hour if you need help collecting documentation or have any questions. A decision on your loan will be made in as little as 24 hours, and you can get funded in five days. OnDeck offers term loans of up to $500,000 at annual interest rates starting at 9.99%. If your business needs to fund a project that will have an immediate return on investment — meaning cash coming in to repay the loan — you may want to apply for a short-term loan of three to 12 months. These loans charge 9% simple interest, which is interest paid as a percentage of the loan amount. The rate excludes any fees. For example, a six-month, $10,000 loan with 9% simple interest and weekly payments would cost $900 in interest, for a total payback of $10,900. A one-time fee called an origination fee is charged to cover the cost of servicing and processing the loan. They range from 2.5% to 4% of the loan amount on the first loan and drop for other loans. Lending Club is another peer-to-peer lender, offering small business loans from $5,000 to $300,000 for one to five years of payments. The interest rates are fixed. The origination fees can be higher than the typical business loan from an online lender. Lending Club charges origination fees of 1.99% to 8.99%. Lending Club requires borrowers to have at least fair or better personal credit, so business owners with bad credit may want to improve their credit score before applying. It also doesn’t allow recent bankruptcies or tax liens. Government loans most often are offered through banks and credit unions that partner with the Small Business Administration, or SBA, a federal agency. Some of the loans are guaranteed by the SBA, which can allow lenders to take on riskier loans and fund entrepreneurs with little business experience or little to no credit. The SBA website is a good place for business owners to find help. It offers ideas on how to plan, launch, manage, and grow a small business. The SBA also offers free business counseling and helps match small businesses with lenders. Loans guaranteed by the SBA generally have rates and fees that are comparable to non-guaranteed loans, and allow lower down payments. Loans range from $500 to $5.5 million. This program makes microloans that are smaller amounts than conventional business loans. The SBA microloan program provides loans up to $50,000, though the average microloan is $13,000, according to the SBA. The loan can’t be used to pay existing debts or buy real estate. Repayment can last six years at rates that are generally between 8% and 13%. The SBA (7)a loan guarantee program is one of the most popular loans the agency offers. This SBA program is meant to help businesses that have good cash flow to repay a loan but don’t have the necessary collateral or history required by a bank. The SBA guarantees a portion of the lender’s loan up to $2 million, with no more than $1.5 million, or 75%, guaranteed. Small loans under the program go up to $350,000. The loans are 25 years for real estate and equipment and seven years for working capital. This is another SBA program and is designed to provide financing to buy fixed assets — mainly real estate, buildings, and machinery — at below-market rates. The loan is funded by three parties. The business owner puts at least 10% in, a bank puts up half of the money, and the remaining 40% is funded by a Certified Development Company, or CDC. CDCs are nonprofit corporations set up to support economic growth in their local areas. Military veterans can qualify for a variety of benefits, mostly through the federal government. Veterans who are small business owners can get SBA loans designed for them, as well as loans from nonprofits and other entrepreneurs interested in helping veterans. 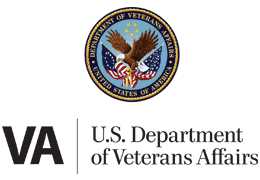 The SBA has a few types of loan programs for veterans. The Military Reservist Economic Injury Disaster Loan, or MREIDL, is meant to help reservists whose small businesses were impacted when they were called into active duty. Low-interest loans at 4% can be repaid for up to 30 years. Collateral is required for loans over $50,000. The SBA Express Loan program is another option. It offers loans of up to $350,000, and credit decisions are made in 36 hours instead of the normal five to 10 business days. The express loans have a slightly higher interest rate than traditional SBA loans, and may be best for established businesses with strong credit. StreetShares is an online auction marketplace that connects entrepreneurs with investors who are veterans too and want to invest in small businesses. It offers small business loans for veterans from $2,000 to $250,000, with terms of three to 36 months. This is a nonprofit where donors provide funding for veteran business loans at favorable terms, including non-interest bearing loans where permitted by law. Loans through the Veterans Business Fund, or VBF, aren’t entirely funded through the program. Business owners must use their personal equity and an outside financial institution must participate. A disproportionate number of black- and Hispanic-owned small businesses have difficulty getting credit, making it difficult for minorities to get funding for their businesses, according to the Minority Business Development Agency, a federal agency that’s part of the U.S. Department of Commerce. This fund for African American-owned small businesses in New York City, Chicago, and Los Angeles was established in 2015, providing loans from $35,000 to $250,000. Financial consulting and technical assistance with marketing and business plan development is provided. Funded in part by the JPMorgan Chase Foundation, it has been criticized for not having African American-led organizations to help administer the financing. Indian tribes and individual American Indian mineral owners are eligible to receive federal help to evaluate energy and mineral resource potential of Indian reservations. The program provides direct payment for a specified use, along with technical information to help them learn if such resources are on their property. The Business Center for New Americans provides microloans and small business loans to businesses based in New York City. Loans of up to $50,000 are available, and borrowers must have at least 20% of the requested loan amount on hand in equity. For a loan of $3,001 to $50,000, someone with an acceptable income level and good credit history must co-sign the loan, according to the group’s website. The loans are available to startups and businesses with at least three to six months of verifiable revenue. Women own 4 out of every 10 businesses in the United States, with 12.3 million women-owned businesses operating in 2018, according to the Women’s Business Enterprise National Council, or WBENC. Their businesses employ 9.2 million people and generate $1.8 trillion in revenue, according to the council. From 2007 to 2018, total employment by women-owned businesses rose 21%, while employment for all businesses declined by 0.8%. Women are more likely than men to seek financing for their businesses, with most women using credit cards, the WBENC says. That makes loans an important option for female entrepreneurs, especially since they receive only 4% of small business loans from mainstream financial institutions. Dedicated to helping entrepreneurial women who live in poverty build businesses, Grameen America provides loans to women through microfinancing in 14 U.S. cities. These small loans, such as for $1,500, can help women get a start in business and can lead to more loans from Grameen America. The average loan is $2,300, and the repayment rate is 99%. It offers interest rates as low as 15% on a declining balance. The nonprofit Accion is a lending organization that seeks to help support small businesses in times of weak economic growth. SunWise Capital provides small business loans from $10,000 to $2 million to businesses that have been in business for at least one year and have annual revenue of $200,000 or more. A FICO credit score of 500 or better is required. Its loans are unsecured business loans, meaning no collateral is required. Up to 10% of a company’s gross revenue can be borrowed. If you’re trying to buy a home and have bad credit, it can be difficult to get a home loan. One way for banks to pass off some of the risk of lending to people with bad credit is to work with borrowers who can get loans insured by the Federal Housing Administration, or FHA. FHA loans are backed by the federal government. They allow borrowers to have low down payments of 3.5%, provided they have a credit score of 580 or higher. While FHA loans are the most widely used type of loan to help homebuyers with bad credit, there are other options for buyers and homeowners who want to refinance their loans. Getting approved for a new small home loan can be more difficult than getting approved for than an average home loan, especially if you have bad credit. Lending Tree helps borrowers find the best deal on a home loan, providing multiple offers from several lenders in minutes. It is one of the largest places online to shop for mortgages. Its mortgage loan comparison is free. According to the company, as of March 12, 2019, a majority of its home purchase borrowers — 84% — received offers of 5% or less for 30-year, fixed-rate mortgages. It says it saves customers $36,370 over 30 years on a $300,000 loan by getting a mortgage APR 0.78 percentage points lower than the competition. Wells Fargo offers home mortgage loans with as little as 3% down on a fixed-rate loan. It has a variety of loan term options and has such features as temporary payment reduction for up to the first three years of a loan. The Veterans Administration helps veterans finance home loans with interest rates and terms that they may not be able to find elsewhere. The VA Guaranteed Home Loan Program doesn’t require a down payment, limits closing costs, and has long repayment terms, among other benefits. Borrowers apply to a lender, and the VA guarantees up to 50% of the home loan up to $45,000. For higher loans, the guaranty is up to $36,000. There is no maximum VA loan, except the loan can’t exceed the lesser of the appraised value or purchase price. There are many reasons to refinance a mortgage, but the main one is to get a lower interest rate on the loan and thus a lower payment. Refinancing a home loan can also be a chance to pull some cash out of your home to pay bills or make home improvements. Whatever the reason, there are home refinance providers to help people with bad credit refinance their mortgage. Many websites help borrowers find loans for buying a home and refinancing a mortgage, including Lending Tree. Lending Tree is an online loan marketplace with one of the largest networks of lenders. It offers help with a mortgage refinance, home equity loan, reverse mortgage and a first mortgage. Meant for only refinances, the FHA Rate Guide can show users in a few minutes if they qualify for FHA loan benefits. Answer a few questions and you’ll be given a list of lenders in your area, as well as their terms, monthly payments, and rates. Tell the guide what type of property you own, your estimated credit score, home value, current loan amount, interest rate, and other demographic information, and you’ll see a list of local lenders. The Quicken Loans’ website gets into the many reasons to refinance a mortgage, including one smart one: shortening your mortgage term. The monthly payments will likely be higher if a 30-year loan is cut in half, but over the life of the loan, the interest payments will drop dramatically. Instead, more money will go toward paying the loan balance, or principal. 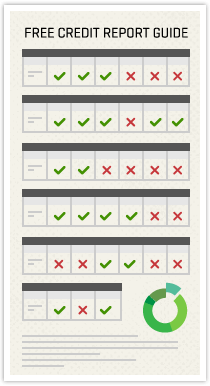 As with many sites, Quicken Loans has a refinance calculator to see if refinancing a mortgage is worthwhile. Having bad credit can make getting a car loan so difficult that you may want to ride your bike. Someone with a good credit score can have half the interest rate on a car loan than someone with a poor credit score. But without a car, it can be hard to get to work so you can make a living. For people with a credit score less than 640, it’s possible to buy a car, even a new car, for as little as $500 as a down payment or even no money down. A used car isn’t your only option if you have bad credit and need an auto loan, though a used car is a cheaper option and some lenders specialize in such loans. If you want a new car and have poor credit, there are subprime auto loans available from some lenders. Your credit will likely improve if you make your car loan payments on time each month. A bad credit car loan isn’t a traditional auto loan. Subprime loans have different requirements, including proof of income, at least six months’ employment history at your current job, proof of a working phone in your name, and six to eight personal references, according to Auto Credit Express, an auto loan provider for people with bad credit. Most subprime lenders will require a down payment of at least $1,000 or 10% of the vehicle’s selling price, whichever is less. You should be able to comfortably afford a car payment and auto insurance, along with your other bills. Your debt-to-income ratio must be less than 50%. Auto Credit Express helps car buyers plan ahead when buying a new car with a bad credit car loan. It also helps buyers find dealerships for bad credit that are nearby and helps them secure a loan. With consistent, on-time payments for a subprime car loan, borrowers can improve their credit score by the time they’ve paid the loan off. That can lead to a lower interest rate and monthly payment on their next vehicle purchase from a conventional lender. Or, if their credit score has improved quickly, they may be able to refinance their current auto loan with the subprime lender into a lower interest rate. Car.Loan.com connects car buyers with local car dealerships to find the best option for their financial situation. That includes buyers with good credit, no credit or those who have been turned down before because of credit problems. As the website explains, having a FICO score of 620 or less may make it difficult to get an auto loan from a bank or credit union. Other lenders will look at factors beyond a credit score to finance a vehicle. Typically, they just need to verify that the borrower has a valid driver’s license, a qualifying income and a stable residence. The company will find a dealership in your area that can give you a better chance of getting an auto loan if you have bad credit, and can even set up your meeting with the finance manager. After filling out the free online form, a response can be provided within 24 hours. MyAutoLoan has calculators on its website to estimate the interest rate you’ll pay on a new car loan and a payment calculator to see how much you can afford. Those and an interest rate chart with the latest data can help buyers determine the monthly cost of a new or used car, or the cost of refinancing an auto loan. The company matches customers to lenders and returns up to four loan offers. Buyers decide which, if any, lender they want to work with and can receive an online certificate or check within 24 hours. They can then use the money to buy the new car they want. If you already have a car but want to refinance the loan to lower your monthly payments, auto refinance providers can help. Some specialize in helping borrowers with bad credit, which can make it especially difficult to refinance a car loan. If you had bad credit when you took out your car loan and it has been a year or more since you took out the loan, then you’ve had some time to improve your credit score. Just making timely payments on your car loan may be enough to raise your credit score and allow you to refinance at a better interest rate. 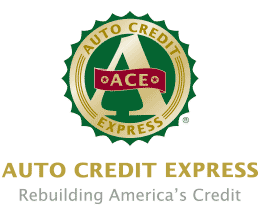 As listed above with new auto loan providers, Auto Credit Express also helps with auto refinancing with bad credit. If the interest rate and monthly payment on your current loan are high, or you want to extend the time to pay off your loan, refinancing may be worthwhile. If you still have bad credit, refinancing can still be done, but it’s easier if you’re making some progress on improving your score. Auto Credit Express recommends making payments on your original loan on time and in full for 18 to 36 months. Such a track record will show a lender you’re serious about paying the loan on time and in full. RoadLoans has an excellent overview on its website on how to buy a car with bad credit. But if you have a car and are thinking about refinancing, it can help there too. It offers a few auto refinance options. One is to do cash-back refinancing and tap into the value of your vehicle to get cash back while also refinancing the loan. Pay off a credit card or payday loan, for example, or put more money down on a home. Traditional refinancing is also available and offers more options, including skipping a car payment for up to 60 days and lowering your monthly payment. To be a member of USAA, you must be an active, retired or honorably separated member of the U.S. military. USAA is widely known for selling insurance to its members, and it also offers auto loans and refinancing. Its website has an auto loan calculator and can help members decide if refinancing makes sense for them. If you have bad credit and are considering a small loan, first decide how much money you need to borrow and for what purpose. Look for lenders that specialize in your need, such as for a wedding, business supplies, used car or just to pay your daily bills for a few weeks until you get paid. Shop around for lenders to find the best interest rates and repayment terms you can afford. Banks may be hard to get a loan from if you have bad credit since they normally rely on credit score ratings. Lenders that specialize in working with borrowers with bad credit can lead to more flexible loan requirements. Be sure to compare your options when shopping for a loan so you can find the best interest rates and repayment terms you can afford. You can start your search by comparing some of the companies we’ve listed above. Loans for bad credit are often funded quickly, so be sure to shop around for interest rates, repayment length, and find out what your total payment will be before accepting a loan offer. Try to stay away from high interest rates, fees, penalties, and required collateral. You don’t want to lose your car because you missed a loan payment one month. Most lenders will have some type of closing fees, also called origination fees, which can be a flat fee or a percentage of the loan. Also, look for a loan without prepayment penalties and that allows automatic payments. What do Banks Look at When Applying for a Loan? 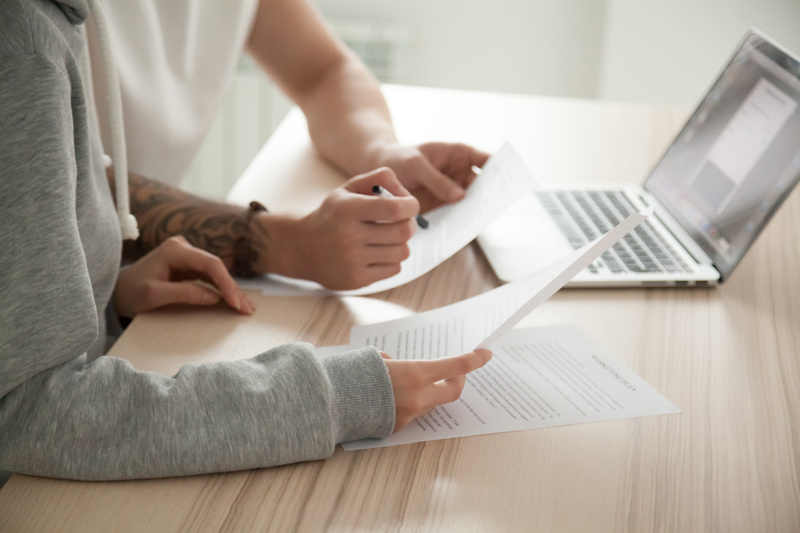 You may not need all of these documents, but having a poor credit history can set you back, so producing documents that show you’re responsible with your money can only help you. You may also need to be interviewed in person or over the phone to convince the lender that you can comfortably make payments. If you’ve paid off a car or motorcycle loan in the past, for example, this could help sway them that you’re a responsible borrower. A lender may also want to check your credit score. Don’t panic. If they specialize in bad credit loans, they already have an idea of your credit score. They may just want to check to see if it’s as bad as you think it is. Maybe it has gone up and you didn’t realize it. Speed is often a hallmark of businesses that provide small loans to people with bad credit, especially among online personal lenders. Loan providers for auto purchases or refinancing are known for providing an answer within a day to applicants with bad credit. Short-term personal loan providers can let you know in minutes if you’re approved, and companies that make loans to businesses with bad credit can have the money to you within a day of applying for a loan. To improve your chances of getting approved quickly for a small loan when you have bad credit, have all of the documentation listed above — pay stubs, tax forms, bank statements, etc. — in front of you when filling out an online application. You may want to also have extra copies in case the lender needs them. 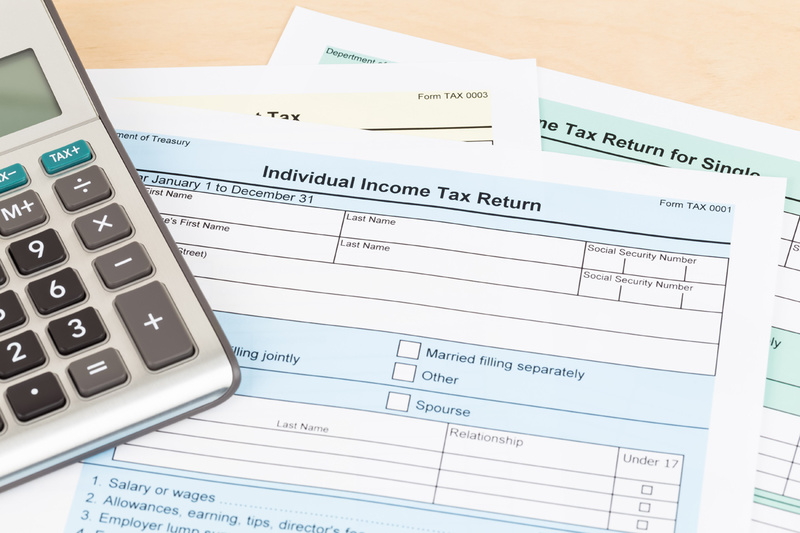 Have all necessary documentation, such as tax forms, pay stubs, and bank statements, ready to show your income and assets to improve your chances of loan approval. If you need a loan really fast, short-term loan providers such as MoneyMutual, CashUSA, and CashAdvance can often help with bad credit loans. These short-term loan providers often only require applicants to be age 18 or older and a U.S. resident, and have a checking account and some type of regular income. Completing an online form should take less than five minutes and you can have the money deposited to your account by the next day. Some of these providers require loans to be paid back quickly, such as within a few weeks when your next paycheck arrives, so be sure you can afford the interest charges and the total payment when they’re due. Not paying your bills on time — which is a major cause of bad credit scores — shouldn’t prevent you from borrowing money when you need it. Remember that you’re not alone — about a third of Americans are in the same boat. VantageScore says that of about 220 million scorable people, 68 million of them have bad or poor credit scores below 601. But that can be overcome by either improving your credit score over time, or, if you’re in a rush and need a loan quickly, applying to a lender that specializes in working with people who have poor credit. And let’s face it — emergencies pop up, and most of them require some money to resolve. An emergency room visit, car or truck repair, overdue phone bill, or a past-due mortgage payment are some of life’s unexpected difficulties that can come anyone’s way. By shopping for the best interest rates, loan terms, and for low fees, you should be able to find a small loan for your emergency — even if you have bad credit. Some bad credit lenders specialize in lending to small businesses, entrepreneurs who are minorities or women, and startups, so there are options for all kinds of funding needs. Once this financial emergency is over, and before another one hits, start working on improving your credit score so you can eventually get the best loan rates for the money you’ll eventually need.